“Did the Chicken Cross the Road?” – When Cam forgets the words to his favorite country song, he blames Mitch and decides he needs to reconnect with his roots and get a chicken. 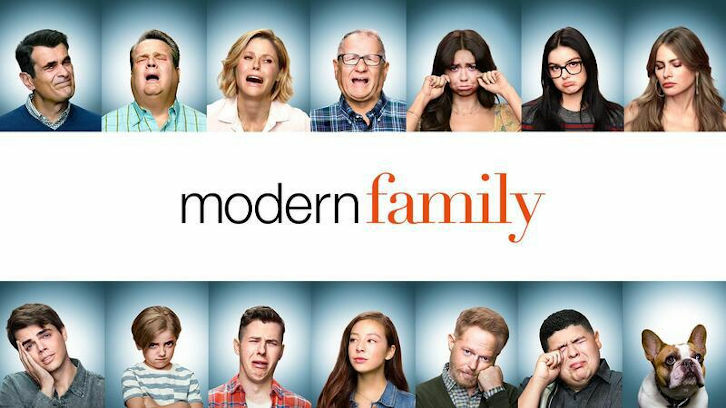 Meanwhile, when Alex is up for a prestigious government job that requires a family interview, it causes everyone to overcompensate and jeopardize her chances; and Haley and Dylan think it might be time they grew up a little, on “Modern Family,” WEDNESDAY, NOV. 7 (9:00-9:31 p.m. EST), on The ABC Television Network, streaming and on demand. “Modern Family” stars Ed O’Neill as Jay Pritchett, Julie Bowen as Claire Dunphy, Ty Burrell as Phil Dunphy, Sofia Vergara as Gloria Pritchett, Jesse Tyler Ferguson as Mitchell Pritchett, Eric Stonestreet as Cameron Tucker, Sarah Hyland as Haley Dunphy, Nolan Gould as Luke Dunphy, Ariel Winter as Alex Dunphy, Rico Rodriguez as Manny Delgado, Aubrey Anderson-Emmons as Lily Tucker-Pritchett and Jeremy Maguire as Joe Pritchett. Guest starring is Reid Ewing as Dylan and Rosa Blasi as Florence. “Did the Chicken Cross the Road?” was written by Bil Wrubel and directed by Eric Dean Seaton.